Update: The Editor has now Closed this anthology to submissions. Stories submitted this weekend will meet the announced deadline. After that, the anthology will be in editing and on the path to production. Send submissions to Dorothy Davies in accordance with these Submission Guidelines. This entry was posted in Call for Submissions, Writing and tagged anthology, short stories. Bookmark the permalink. 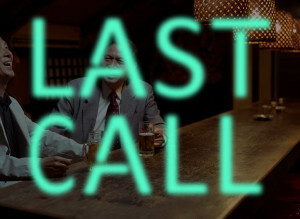 When I finally saw the Last Call submission I was still mired in finishing my novel. But, for the first time ever, I wanted to send along a story. Unfortunately, while my characters drink alot 🙂 none of my short stories are drink-themed.